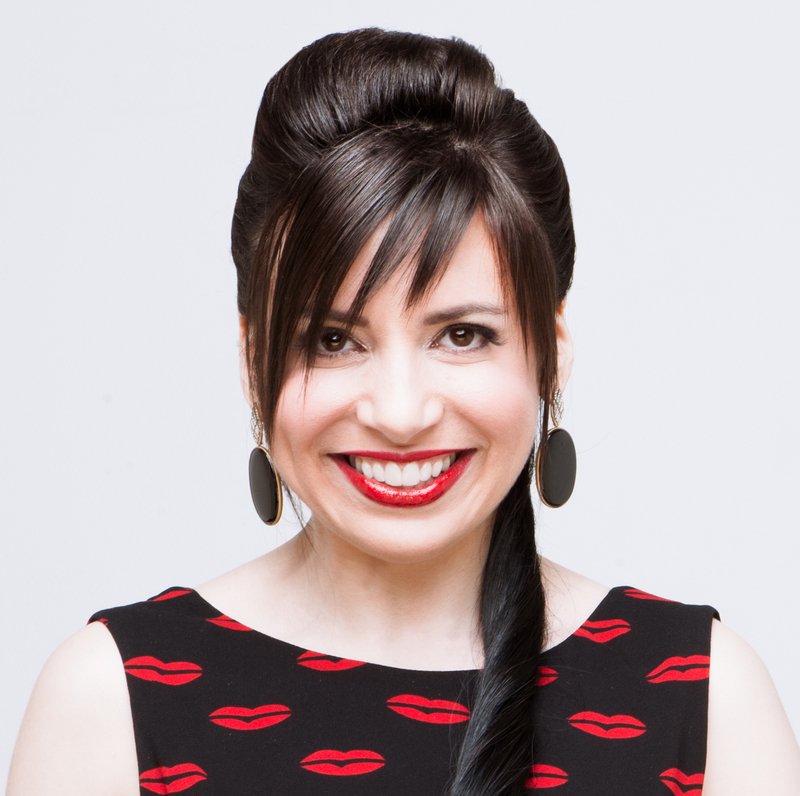 If you’re fluent in French, holla at me in the comments, because I’d love to get a good translation of Made in Joaillerie’s post on my ruby-and-gold Juana peekaboo skull locket! Front view. Click to read about my inspiration. Of course, I’ve already used Poodle Translate so I get the gist of the story, but those computerized results aren’t very elegant. I’m unusually interested in getting a smoother translation of the entire post because I feel Made in Joaillerie really gets me: Even without Poodle Translate, my limited knowledge of French was enough for me to understand the first words: “Toujours fasciné par l’univers fou de Wendy Brandes …” Yes, I do have a crazy universe! I also like the way my locket’s hidden Juana skull is described as romantic, Gothic and alien. Inside the locket. Click to see on my website. It’s so nice to be understood. Thanks, Made in Joaillerie. 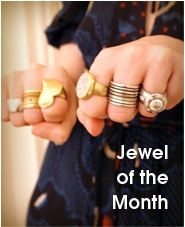 And thanks to Demi Couture for blogging about my WENDYB by Wendy Brandes diffusion line, including my hashtag ring. No translation needed there! UPDATED TO ADD: See the translation from “G” in the comments. Harper's Bazaar Tells Us to Think Pink! Hiya! I’m fluent in French and yep, it’s basically “Forever fascinated (almost entranced or mesmerized by) the crazy universe of Wendy Brandes.” Crazy in this sense can be more along the lines of strange, unique, or bizarre. But not literally “crazy.” Super cute stuff! What a fabulous locket, darling WB! And so exciting about your diffusion line! P.S. My word verification was “sancerre” – you rock. Yup, that’s what it means! How cool! Wish I took more than one French class. My teacher was so mean though. I’m Clémentine, the writer of this article and of all the articles about you in MadeinJoaillerie.fr. Decided it would be a good opportunity to practise some out-of-shape French! At Made in Joaillerie we have long been fascinated by the mad world of Wendy Brandes. 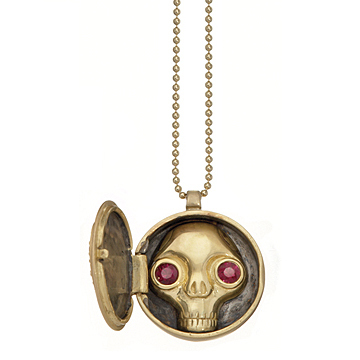 Today we present to you her Juana Peekaboo Skull Locket. Part romantic, part gothic, part UFO! Never short of crazy creations, the designer Wendy Brandes’ imagination flies in every direction, each piece of jewellery more original than the last, sometimes utterly mysterious. Today we are showcasing her peekaboo skull locket, for which we are head over heels! 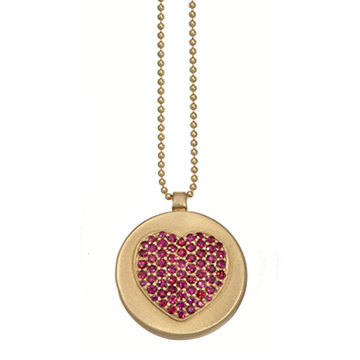 Truly stylish as well as so romantic, locket necklaces are made of small pendants (lockets), which inside, secretly contain a photo of a loved one… But Wendy Brandes has seized on this vintage concept in order to fashion a new look, and instead hides inside the locket, which is decorated with a really romantic little heart made of rubies, an amusing head of a figure half-way between a skull and an alien! A great contrast: this necklace surprises as its allure as a veritable love token transforms as the locket opens to reveal a terribly mysterious jewel. Don’t give this to just anyone! Enigmatically chic, this yellow gold and ruby necklace costs 12 000 dollars … the price to pay for such a mysterious and precious locket! Thanks SO much! I love this “Don’t give this to just anyone!” LOL! It’s true! The translation is fabulous. I love the “part UFO” reference. So cool. am i fluent in french. NO! omfg. every now and again we have french references at work by artists like dubuffet. i love the works, but BOY can i butcher any kind of french word put forth before me to pronounce. it is awful. and laughable! my co-worker loves all things french and speaks french. AND he goes to paris every year (!!!!) for a five-week vacation (!!!!!!). i have never even BEEN to france, so i am more than a little jealous! p.s. love the inside of that locket! Boo. I am not fluent in French (or any language . . .) but I am fluent in pretty necklaces and I love this adorable locket! I love that it has a skull inside of the heart! How amazing!